The first two days of my visit to Vietnam was marked by my personal ambition to have as many phở as I can. 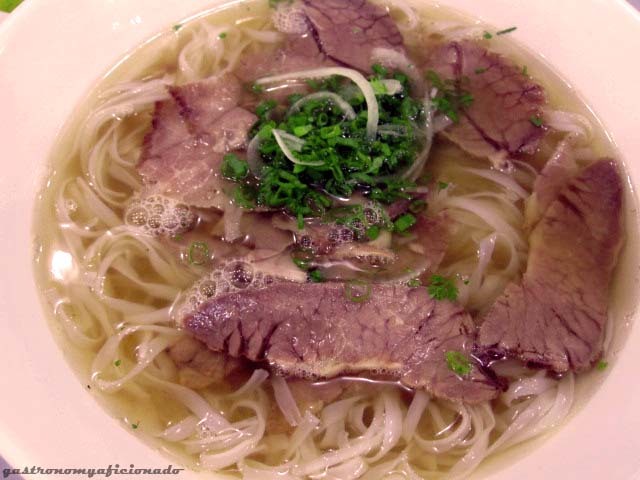 On the first day which probably going to be my next post, was Phở 24. 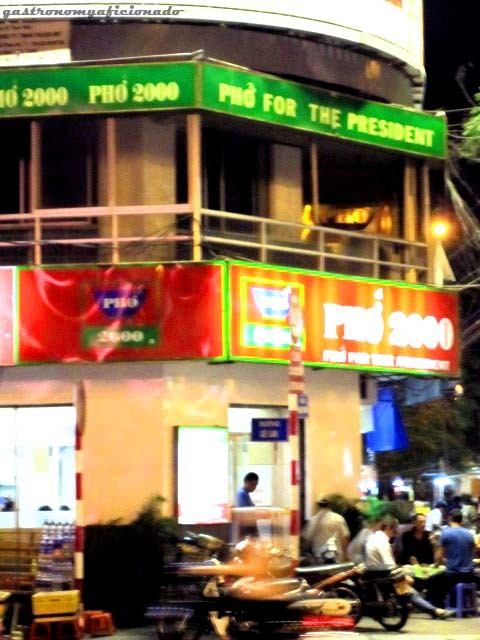 Second day, we went to this ‘legendary’ place called Phở 2000. Why’s that? 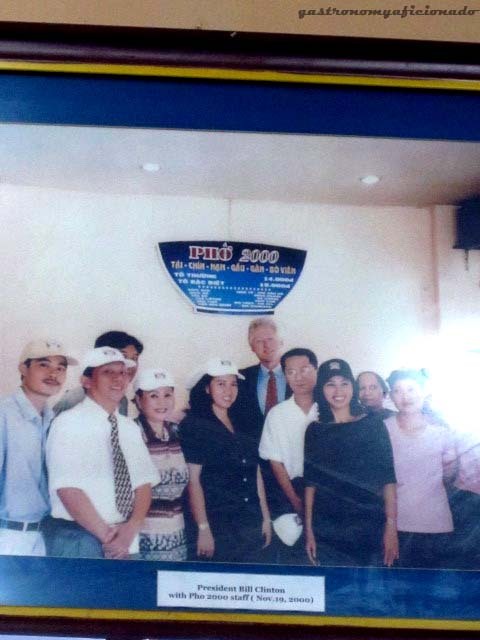 Bill Clinton used to visit this chain restaurant. 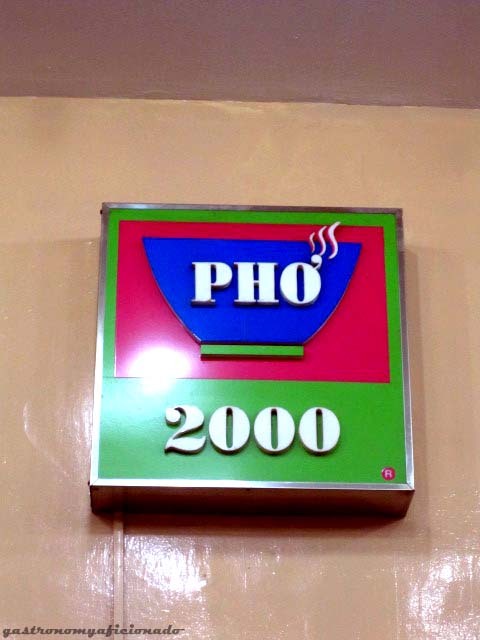 So Phở 2000 now boasts itself even as far as Indonesia about this. I decided to give it a try to see how far they really go for this honor. We found an outlet just beside Ben Thanh Market just across the street. You’ll see it easily even from the park. Just look for ‘PHO FOR THE PRESIDENT’. They really took some pride in that. Anyway, once inside, the place was surprisingly modest. Almost like many noodleshop you see in Hong Kong movies but it’s clean and feels like the best environment to eat noodles. Haha.. The menu was quite different with Phở 24 by the way. Instead of serving broken rice, they serve many other rice dishes as well plus the spring rolls. I wouldn’t bother for now anyway since it’s the phở that actually matters. The good thing here is that you gonna find 2 size for the phở. Of course I wanted the big portion which only costs around VND 45,000 and around VND 35,000 for the small one. So the price range are between those two for other variants. We picked both Phở Beef and Phở Seafood. Again I forgot the exact name. When they came, it was a surprise. The size of the bowl was quite amazing! You gonna need to see it by yourself but it’s much wider than my own chubby face. Haha.. I, who happened to have the beef noodle, experienced a bit disappointment since I thought that it’s gonna be better than the one I had in Phở 24. The broth was unexpectedly not too succulent and the exterior seemed like a bowl of ramen with only beef cuts. Though we did receive the extra bean sprouts and culantro but we didn’t get the onions and the chilis. It’s okay actually, but the bean sprouts were a must and luckily they provided it for us. On the other hand, the seafood noodle was much much better and I gotta recommend this. 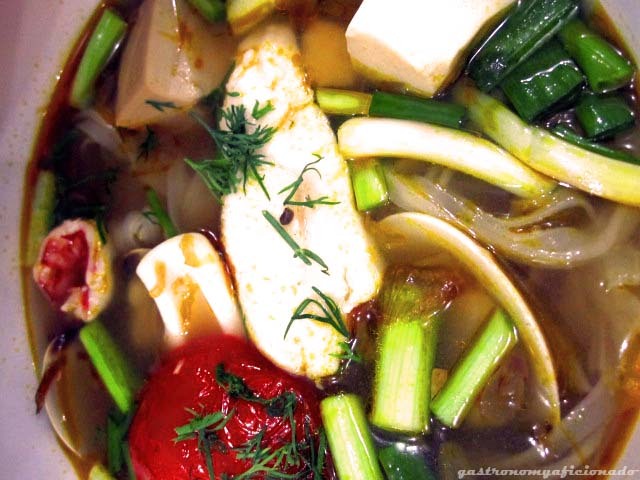 The broth was not clear, it’s more like tom yum and was quite strong in taste. Not to mention that they added scallions, tomatoes, and the routine seafood creatures. Add bean sprouts on it and squeezed lime for stronger combination and next, it’s heavenly.